Book the best flight among our 197+ routes. 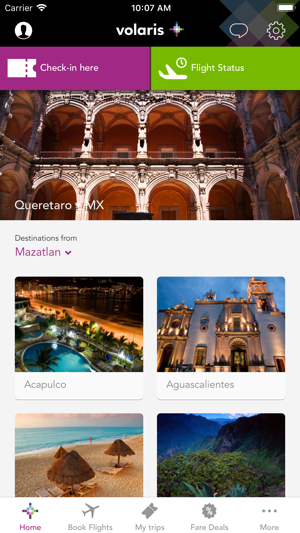 You can save contact and traveler information to make every booking even faster. Save your payment details to book flights. 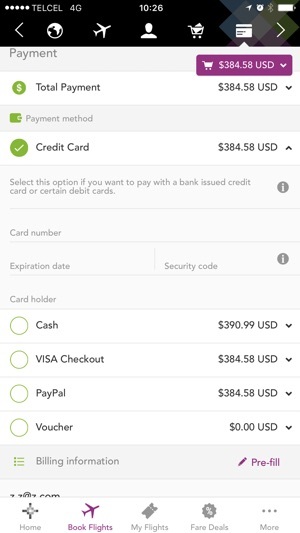 It’s easy, fast and secure. Get access to our exclusive promotions for mobile app. And save on your next trip! Check your bookings, review details like name or flight number, add optional services such as baggage, sports equipment, priority boarding and seats. We’ve got your feedback, and check-in has gotten even faster. Complete your information details, add any optional services and get your boarding pass. It’s that easy. paper iniciative! 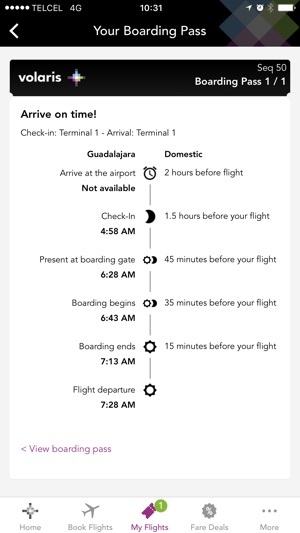 Keep track of your flight information: boarding time, boarding group, seat number, itinerary so you get to the airport on time. 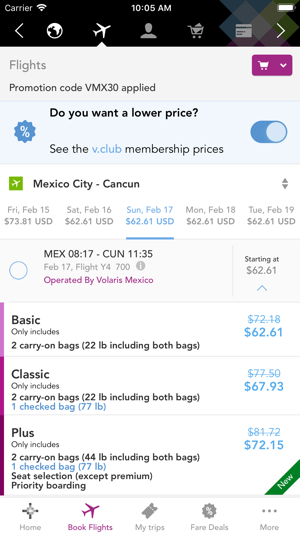 If you add your boarding pass to your wallet, you can check the best way to go to the airport with a map, and review our baggage policies. View live updates on arrival and departures. 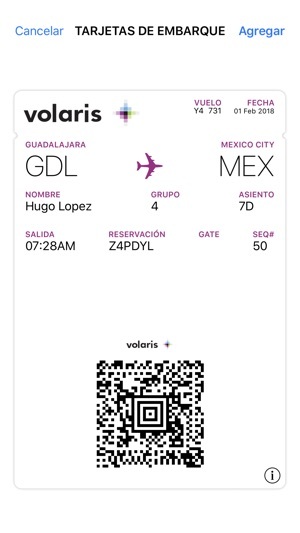 We’ll let you know about any promotion, new products, policy changes or new feature at volaris.com. Want to get cheaper flights? Login with v.club membership you can get access to the lowest fares, exclusive promotions and early access to discounts. - Now you can scan your Passport and credit card for faster bookings! 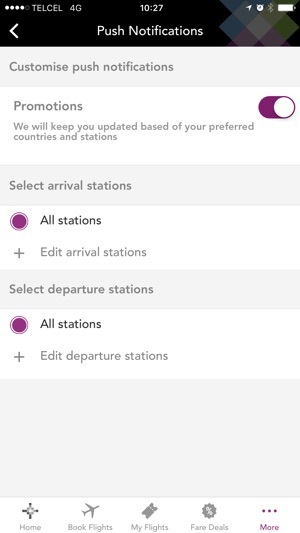 - Receive push notifications of your flight status.